While many real estate professionals have slacked on open houses in the last few years, they can still be one of the most powerful tools for marketing and selling homes, and generating high volumes of real estate leads. Still, there is no question that there can be very disparate results between open houses. Some are ghost houses, and others are wild successes people will talk about for years. It’s all about what you do with it. In some cases it can pay for real estate pros to hold low key open houses every day. After all; if you can work from anywhere, why not work from your properties and generate live leads every day? Then there are occasions to go all out with open house events. Maximize the news about your event. If you want people to show up, and you want it to sell, and you want to get the most leads; you’ve got to gain attention for your open houses. Simply sticking a couple of signs out on the day of the event, or putting an ad in the print newspaper probably isn’t enough anymore. If the property is listed on the MLS make sure you’ve got open house dates being fed through syndication services like Realtor.com. Get it on Craigslist. Blow up your social feeds. Think about using hashtags. Consider pay-per-click Google and Facebook ads. Be sure to email everyone on your lists including past buyers, strategic partners, and local real estate pros. They can’t show up or help send people if they don’t know about it. Make some serious noise. Why should people come to your open house? There are plenty of other things to do on a Saturday. There are sports games, hanging out for dinner and drinks with friends, or just surfing the internet and lulling yourself into a half coma on Facebook. Why make the effort? Is this an event they must be seen at? Somewhere they’ll meet people they’ve been eager to catch? Is there limited access, special pricing, or sweet giveaways? Will you be auctioning this property off on the day or providing a single day discount? Every property has a great story. What’s yours? If you don’t know what it is, or are having a hard time putting it in words – hire some pro help. Get the word out. Some people simply won’t be able to make it out, no matter how much they want to. Don’t let that be a roadblock. It was recently announced that Warren Buffett would begin broadcasting his annual Berkshire Hathaway shareholder meetings via video on Yahoo. If Buffett, at his age, and with that many years set in stone, and little need to please anyone else choose to get tech savvy and open up access; everyone should be. Want Buffett money? Start streaming your open houses, or even giving a privileged few a private virtual walk-through in advance. Whether you charge them or not is up to you, but if they drag their feet the deal may be gone. Need more traffic? Can you collaborate with local agents or investors who are touring clients around that weekend? Make sure your open house is a must do stop for the thousands of agents trying to cut a deal that day. If you don’t they are going to sell someone else’ house. Does your open house experience wow visitors? Or is it just another blah walking tour of yet another home? Is it just a peek inside four walls, and some brochures and business cards on the kitchen island? Or is it a real event that creates emotions which set the bar for every other home they’ll ever look at? No matter the price point there is a way to create an experience that will wow, keep them longer, build relationships, and keep them talking about it for years. It could be a backyard BBQ, or an elegant upscale catered cocktail party with an appearance by a celebrity chef. 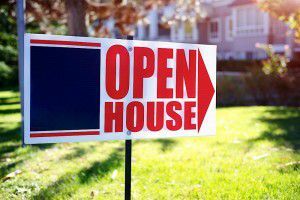 If you’ve held an open house or two you already know all the objections, excuses, and reasons visitors use to stall making an offer on the spot. Crush them all and streamline the deal process. Have mortgage lenders on site offering pre-approvals and one-day discounts. Have copies of home inspections, and title reports done in advance, data on the neighborhood, and more. Have Wi-Fi and your phone charged to the max so they can phone or video call in any partners that need to be in on the decision. Collect the data on everyone who walks in the door or even enquires about the home and open house. Email addresses, social URLs, phone numbers, and street addresses, as well as the specifics of what they want and what their current situation is. Then follow up like crazy. Use the success of this event to build your next one.